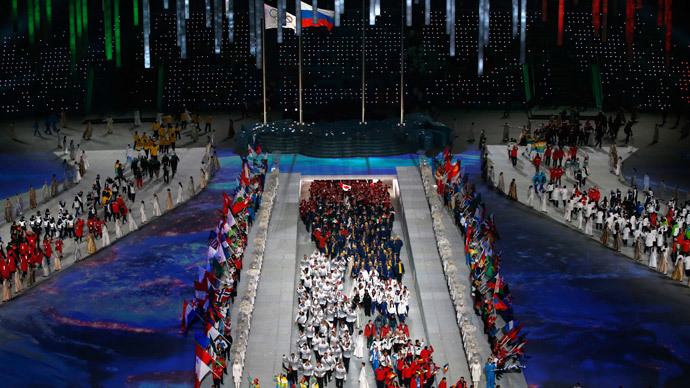 The Sochi 2014 Winter Paralympic Games have opened with a heartwarming ceremony, paving the way for a show of extreme skills, tough challenges, and unbreakable spirit. 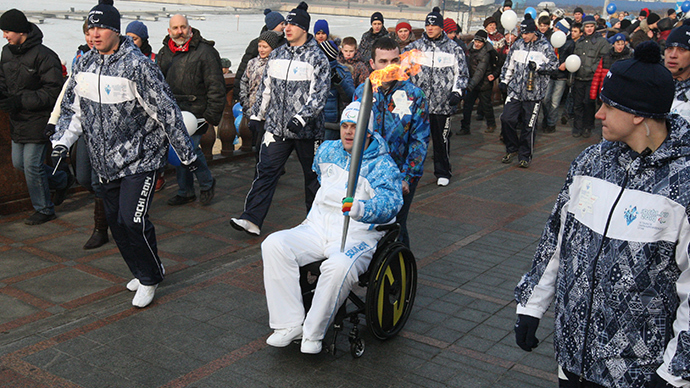 The flame was again lit in the Russian city of Sochi on Friday, this time marking the start of the Winter Paralympics. For those familiar with what the 575 Paralympic athletes from 45 countries have achieved to take part in the Games, the flame could symbolize their burning ambition and dedication to sport. 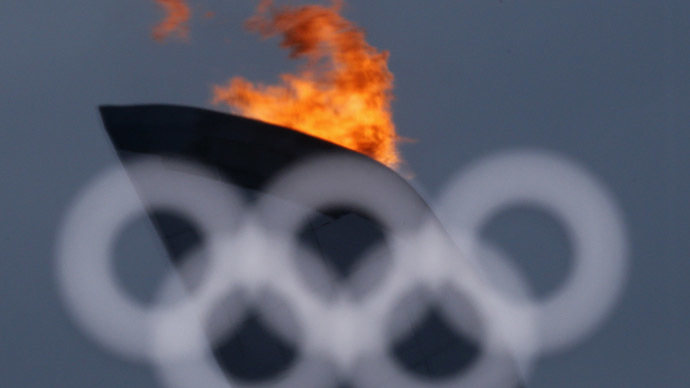 Though some may consider the 2014 Winter Olympics to be over, an increasing number of spectators understand that a display of real challenge and tough competition in Sochi has only just begun. Amazing support was shown on the eve of the Games for the athletes taking part. 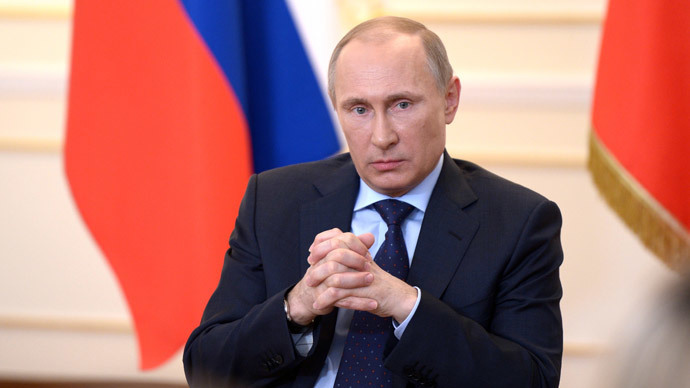 Nearly 70 of the competitors are representing Russia. 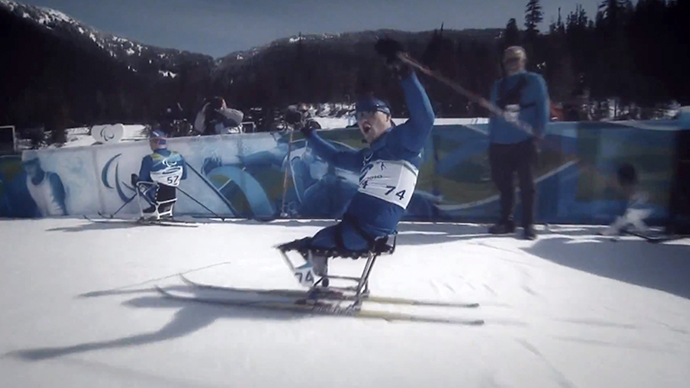 With their strength and determination, Paralympians should be treated as role models, the organizers of campaign in support of the Sochi Paralympics believe. A motivational campaign called #NEVERSTOP has been launched by JWT International Moscow. Russian model and philanthropist, Sochi Paralympics Ambassador Natalia Vodianova starred in a short film created for the campaign. The film posed difficult questions, which Vodianova said anyone of us could be faced with. To illustrate the challenge, the film maker fitted Natalia with a bionic leg. The model honestly says that she is unsure how she would have carried on if that was for real. What she knows for sure that there are people like the Paralympians, from whom one whose life was changed in a dramatic way can draw the inspiration. Supporting the people who never gave up is very personal for Vodianova, whose younger sister was born with cerebral palsy, the Paralympics Ambassador shares in the description to the YouTube clip. “The real problem lies in the misguided perceptions and attitudes of society towards people with special needs. The idea of the film is to raise awareness and inspire people to watch the Paralympic Games, support Paralympians and help to create a change in society’s attitude towards people with disabilities,” she writes. According to Vodianova, Paralympic Athletes are real role models that could inspire such transformation. After the breathtaking start of the Sochi Winter Games, expectations were high for the Paralympics opening ceremony taking place at Fisht Stadium in Sochi Olympic Park. Though the organizers managed to keep the event both bright and colorful, they also created an intimate atmosphere against a conceptual background. Unity, equality, and inclusiveness became the main themes of the event, which came under the motto of “Breaking the ice” – or breaking comprehension barriers between people. One hundred and forty of the 1,000 performers taking part in the ceremony were people with various disabilities, including a whole choir of disabled children. A poignant dance of little ballerinas and the music of famous Russian classical composers highlighted the rich cultural heritage of the country. Russia’s fairytale firebird was symbolically chosen as one of the characters for the show. Especially for the event, Oscar-winning animator Alexander Petrov drew a cartoon featuring the Russian Phoenix. For disabled people in Russia, the Paralympic Games are not just an inspiration, but a springboard for “bigger change,” said Dmitry Chernyshenko, head of the Sochi Organizing Committee. “We are happy to welcome the teams of Paralympic athletes to Sochi. You inspire people with confidence [that] one’s abilities are unlimited, that everyone can show determination and surprise the whole world,” Chernyshenko said at the opening ceremony. Most inspiring are personal accounts of Russian Paralympians, who have overcome all odds on their way to victories and top-class performance. The captain of Russia’s Paralympic ice sledge hockey team, Vadim Selyukin, told RT his team is practicing morning till night to show the best of their skills and to challenge the sport’s current undisputed leaders – Canada and the US. “Every player thinks only about victory, how to grab it and never let it go. This is important,” Selyukin said. Vadim lost both of his legs in the Second Chechen war in 2002. His will to live not only allowed him to outlast the injury, but also led the Russian sledge hockey team to third place at the 2013 World Championships. Sochi Games will feature an exciting debut of para-snowboarding, which this year has been placed under the Alpine Skiing program of the Paralympics. Team Russia is set to fight for a fair share of the Sochi Games’ 72 sets of medals, which will also include tight competitions in biathlon, cross-country skiing and wheelchair curling. Russia came second in the unofficial medal ranking at the 2010 Vancouver Winter Paralympics with 12 golds, 16 silvers and 10 bronze.